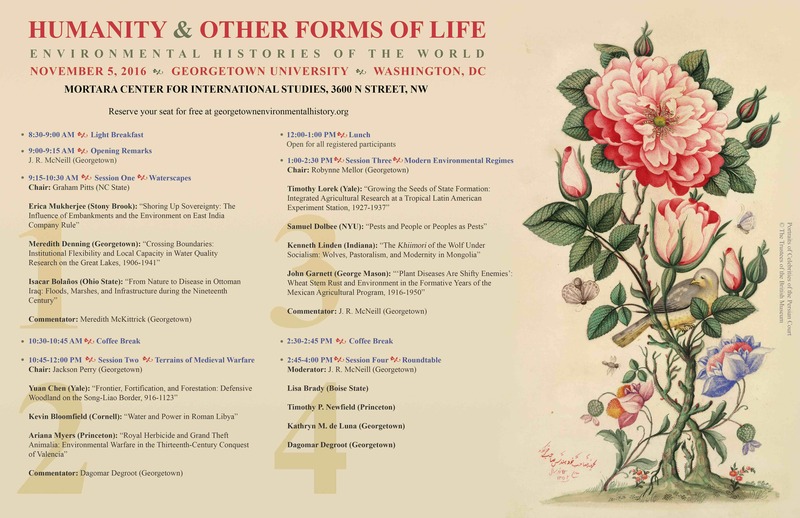 Come and join us for a one-day conference on world environmental history, where we learn about the latest research currently carried out in the field by graduate students from across the country. Featured papers will explore humanity’s relationship with the natural world from the forests and steppes of East Asia to the Great Lakes of North America, from the early medieval period up to modern times. Meet and network with fellow students and faculty members over coffee and lunch and tell us about your own research and future plans! Inquiries? Contact Faisal Husain, fh204@georgetown.edu.